We're huge Oliveros followers here so it's just fantastic to see this classic album brought back to life by the ever-reliable Important Records. We're beginning to wonder just how the label has such a good line in to all these quality releases, but the less known about that the better, we're happy to carry on consuming week in, week out. 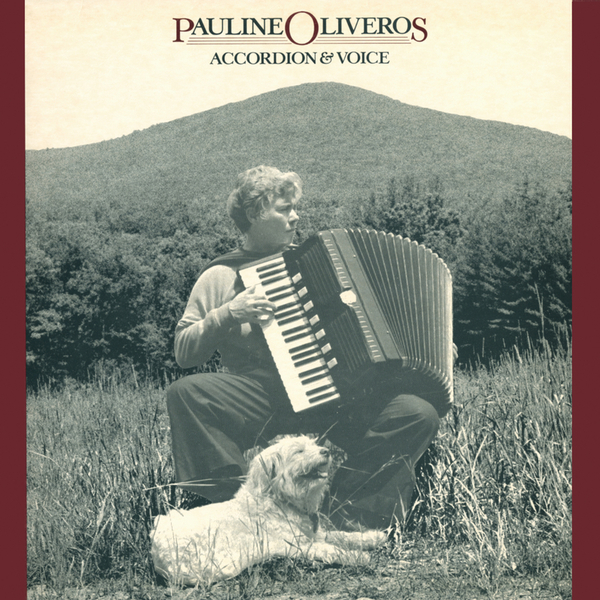 'Accordion & Voice' was the first of Pauline Oliveros's works as a soloist and was originally released back in 1982 when I was but a crawling nipper, although she had released a whole catalogue of electronic work she never recorded anything quite like this before. This is odd because originally Oliveros had trained as an accordion player, something which she excelled in and composed with for many years before she discovered the beauty of synthesis. Here we hear her composing (and performing) using merely accordion and voice, yet the way she works with these elements could almost be synthesis or processing. In fact hearing this now makes me think of Islaja, Fursaxa or even Grouper, as her carefully measured drones wash over each other and her ethereal vocals soar overhead. There is however a restraint and spiritualism in Oliveros's compositions that set her apart from any other composers or artists, this was present in her electronic pieces (most notably 'I of IV') and is more than evident in both pieces here. 'Horse Sings from Cloud' is probably the best known work here, but the later 'Rattlesnake Mountain' is just as essential, showing off some quite serious accordion skill and allowing the instrument time to breathe. This is an influential and seriously important album for anyone interested in experimental music to any degree - Highly Recommended.